ISFPs are introverts who enjoy spending time with people, so they often have an active and interesting social life at work. This type often isn’t as focused on their career as other types because there are so many other interesting things to do in the world. And the adventurous ISFP is usually determined to experience them all. ISFPs are warm and friendly people who look for the same kind of atmosphere in their work environment. This type likes the social connections and interactions at work, and if they find their workplace too serious or too competitive or unfriendly they’ll quickly become dissatisfied. The working environment and how it feels is very important to this type. 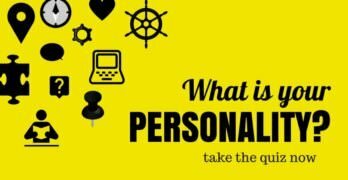 They lead with the cognitive function introverted feeling, which makes decisions and choices based on how the ISFP feels as well as on their personal values. So the emotional environment of their workplace is a key predictor of the ISFPs happiness in that workplace as well as their overall happiness. ISFPs don’t like traditional workplaces or any type of workplace that’s too rigidly controlled or structured. This type uses extraverted sensing as their secondary function, which gives them a need for a lot of autonomy and novelty in their lives. If they’re put into a position where the ISFP has to follow strict guidelines they’ll quickly feel stifled and restless. They just don’t see the need for this kind of structure when it’s obvious to them that their creativity and productivity are negatively affected by it. ISFPs do much better in work environments that are more open to their own unique ways of doing things and accepting of these differences. Most ISFPs enjoy change. This is another gift from their auxiliary function, extraverted sensing. It gives them a restlessness and a love of change and novelty that means they relish the challenges of new working environments and even new careers. 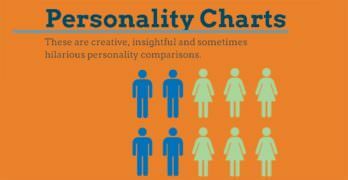 In fact, they need a constant parade of change to feel happy and healthy, and a workplace that doesn’t change is far more likely to be unsuited to an ISFP than one that changes constantly. Unfortunately, ISFPs can very easily become the target of abuse or bullying in the workplace. This type is extremely sensitive to criticism of any kind and will often ruminate over unkind comments for a long time. This process can cause a lot of pain and uncertainty for this type, and if someone criticizes them on an ongoing basis it will make them very unhappy and unsure of themselves. ISFPs are also eager to help others in any way they can. This may seem like a lovely way to be, but it can also make them a target for unscrupulous people who want to use them to further their own career in some way or to prop up their own sense of self-importance. ISFPs are very unlikely to become bullies themselves. Their introverted feeling dominant gives them a great deal of empathy for the pain of others so they’re unlikely to want to be the cause of this pain. They’re more likely to be the person who notices when someone else is being bullied in the workplace and to offer their support and any help they can give to that person. ISFPs are usually fairly good at networking. They have a complex and thorough understanding of their own motivations and emotions that usually makes them good at understanding these qualities in other people as well. This kind of emotional intelligence is essential in networking, it helps the ISFP connect with new people and make them into friends without too much trouble. ISFPs will usually enjoy this process, though they will find it quite tiring as well. Despite their sociability, ISFPs are introverts and so long periods of socializing will tire them out, so they’ll need a lot of time on their own after networking events and interactions. ISFPs are adventurous and fun and they bring this spirit to their working relationships as well. An ISFP will always have ideas about fun activities and pastimes and will enjoy these as a way to bond with their workmates and explore the world at the same time. Because of their clear enjoyment of life, ISFPs are usually able to connect with even their quietest and stiffest of workmates and this can make for a very happy and active working environment. ISFPs struggle to focus over the long term. These people focus on the present moment, on the experiences and pleasure and sensations in the present, and they don’t like to plan for the future. This makes them really fun and spontaneous people to be around, but it can be a problem in the workplace. It often stunts their career trajectory, resulting in them languishing in a series of lower paid jobs with few prospects for advancement, and it can be a problem with work projects as well. Any type of project that requires long term thinking or planning will be difficult for ISFPs and they usually need a little assistance with this aspect of their working life. ISFPs really don’t like rigid or controlled environments. They don’t like to control other people themselves, and so the idea that people want to control them at work seems strange and unnatural. Most ISFPs will react very badly if they’re micromanaged or told how to do something with too much detail. They prefer to do things their own way, in their own time. But if they’re criticized for the way they do something the ISFP will literally shut down. This type is very sensitive to criticism, so even the mildest criticism can be intolerable to them. This combination of tendencies often results in problems in the working environment and most ISFPs encounter the consequences of these preferences frequently throughout their lives. ISFPs are quiet and gentle people who just want to be active and to enjoy life. This often makes them a happy part of the working environment, but it can have consequences for their career success as well as their ability to commit to a job over the long term. Storm, Susan. “How You Use Introverted Feeling Based on Its Location in Your Function Stack“. Jan 17, 2017. (Retrieved Apr 2018). Storm, Susan. “10 Signs That You Might Be An Extraverted Sensor“. Oct 30, 2017. (Retrieved Apr 2018). “The ISFP as an Entrepreneur“.